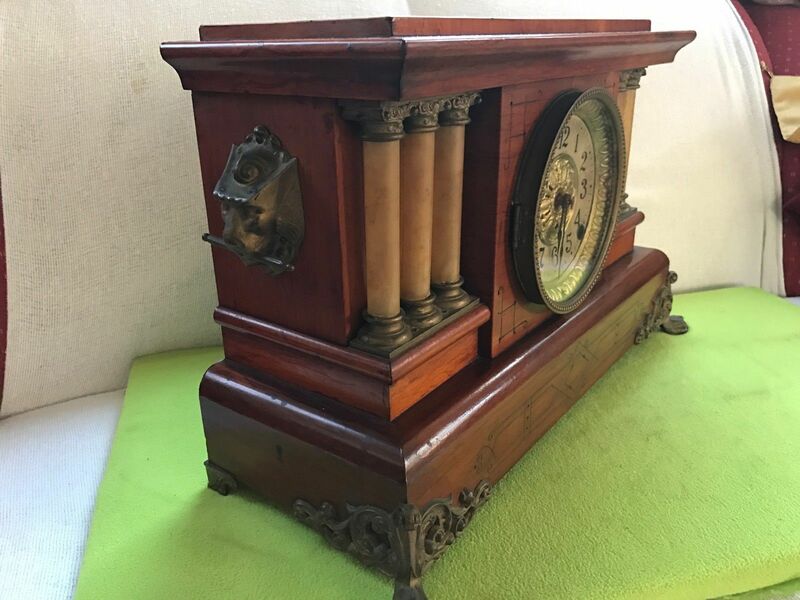 This particular clock is a rare antique clock. This Seth Thomas Triple Pillar Columns Adamantine Mantle clock dates back to the 1880’s. The clock is signed with the ST logo and was made in the United States. The clock measures seventeen inches wide and eleven and a half inches high with a depth of seven inches. The key and pendulum are still intact and are with the clock. It is an eight-day movement clock. The clock keeps stunning time and the entire clock is in great condition mechanically as well as cosmetically. The clock is made of a beautiful wood case with a beautiful grain. The lion head and trim are beautifully done in brass. The dial of this clock has raised numeral details. The dial has black numbers with black hands on a white background accented with gold. There is a lot of detail on the face of this clock. 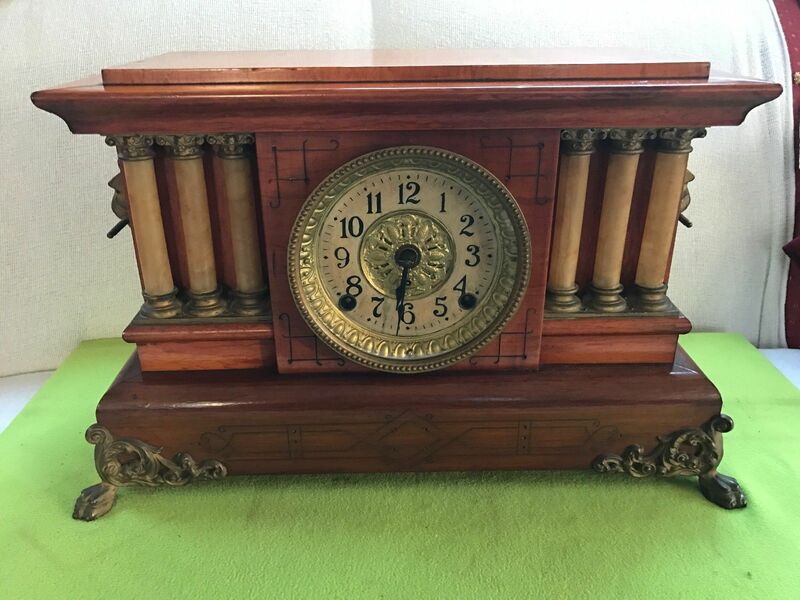 This clock is unique with its pillars on each side of the dial. Unlike other clocks this clock has brass and wood which also makes it unique because many clocks do combine more than one element to make the clock but they don’t look as good as this particular clock. This clock is beautifully put together and beautifully crafted. Many clocks dating back to 1880 are not in working condition or have been repaired with unoriginal pieces. 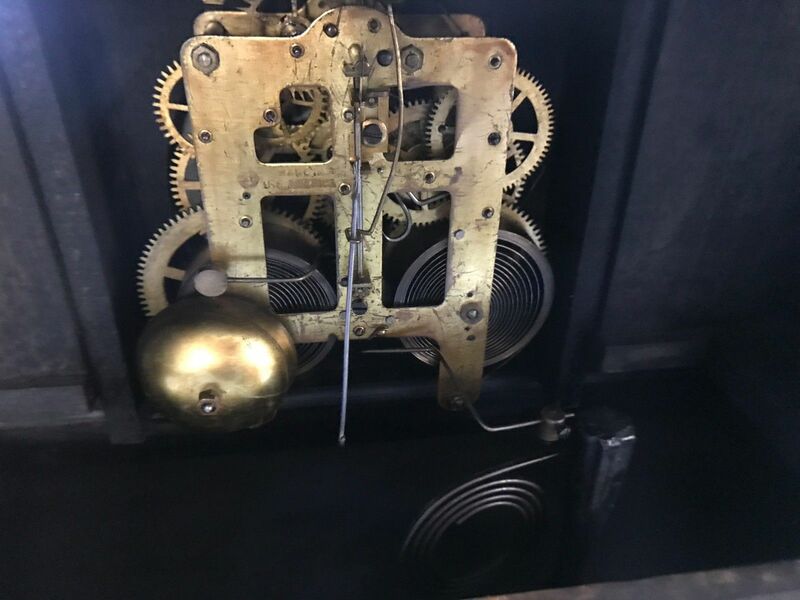 This clock is original and is in great working condition due to the regular maintenance done by a professional clock maker. The piece is beautifully made and keeps great time, which is absolutely amazing due to its age. Many clocks that date back have a lot of cosmetic wear and tear or are damaged. 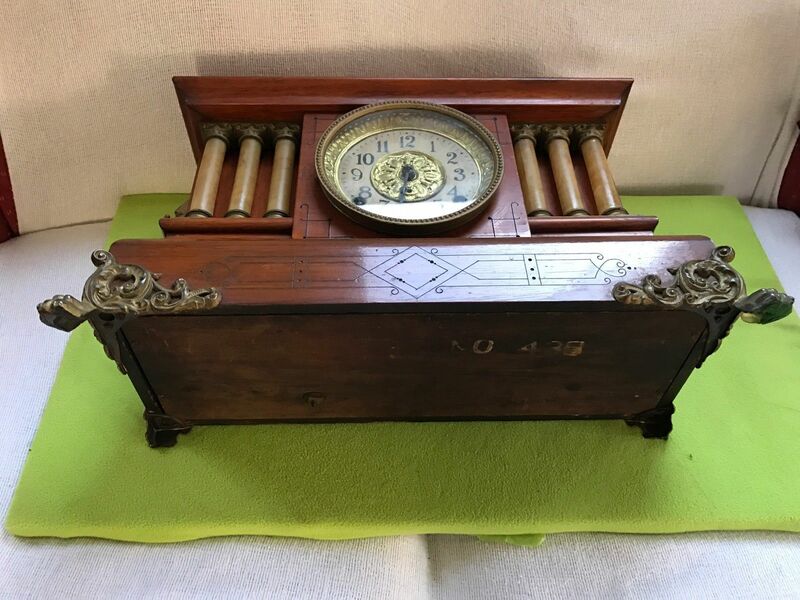 This clock is in mint condition and is a beautiful piece. This clock is full of history and stories. This clock has been through many wars and historic events. Not only is this clock beautiful it holds many stories behind the dial.